Like Salt for Chocolate | Come Due Maiali / "Like Two Pigs"
I am a total sucker for artisanal chocolates and salts, and I am on a perpetual hunt for both. Imagine my pleasure at discovering a shop in NYC’s West Village that specializes in both (plus artisanal bitters and fresh flowers, just to round off that sensory experience). My regular chocolate store here in DC (Cocova, formerly known as Biagio Fine Chocolate) has only chocolates (a whole sea of chocolates, to be precise), and The Spice and Tea Exchange in Georgetown has only salts (which I supplement with online purchases from SaltWorks). The Meadows has few but well-chosen items in both categories. 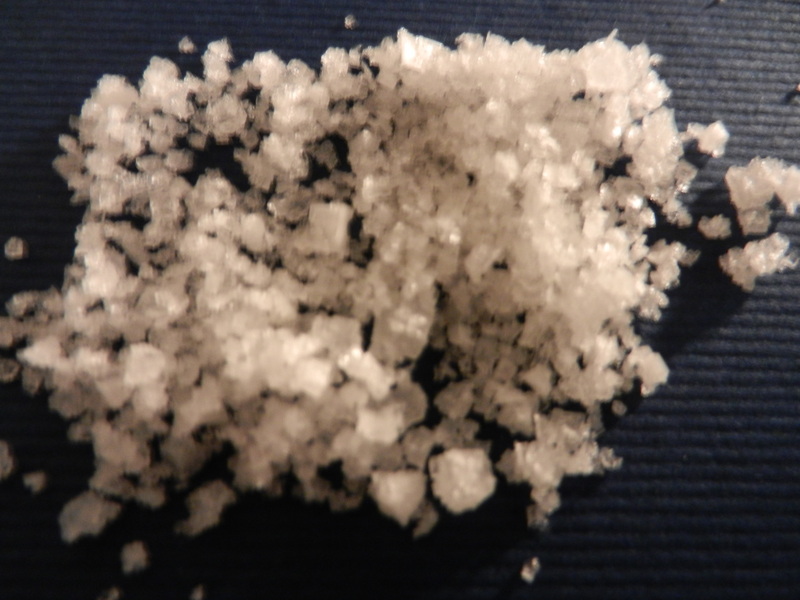 Pangasinan Star fleur de sel (also called Ilocano Asin Philippine Sea Salt). Some say it is like tasting Fleur de sel on steroids, as it is certainly more rich, lush, and intense than its French cousins. But, even though this is a full-bodied salt, it wears its weight very gracefully. If the Cat in the Hat were a chef, he would use Pangasinan salt :-). 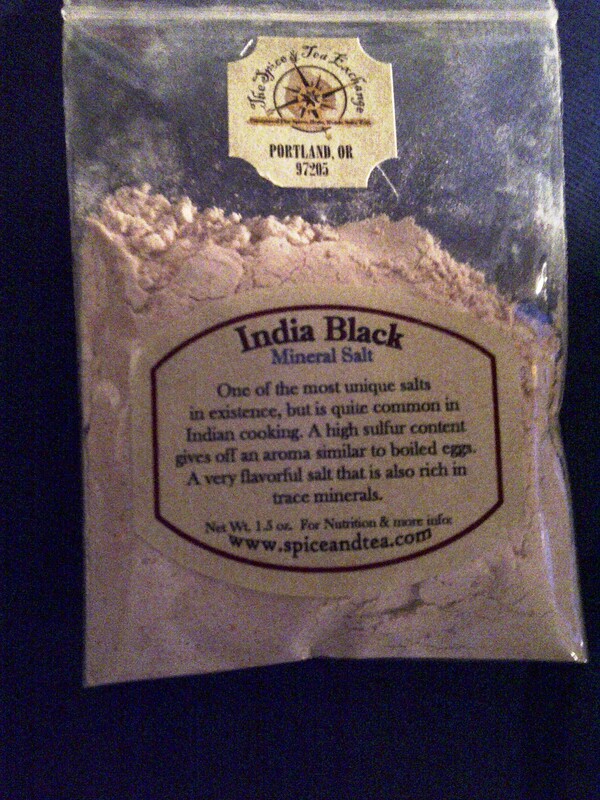 Incidentally, Indian black salt is NOT the same thing as the Himalayan black lava salt, which is very easy to like, and which is amazing on good quality chocolate and caramel. By the way, for a while now I have been admiring beautiful Himalayan salt slabs from afar. But I am very tempted to take one out for a spin to lightly cure carpaccio or sashimi. I should add that Himalayan pink salt is my everyday cooking salt of choice, as Trader Joe’s $2 containers with a built-in grinder are absolutely brilliant. Artisan du Chocolat Jamaica 72% cocoa (Kent, UK). Super aromatic, with notes of jasmine, licorice, wood, and red fruit, it is undoubtedly one of my favorite origins (along with Vietnam, which this chocolatier also makes). It is hard to describe its incredible balance and complexity, as it is simply lovely! 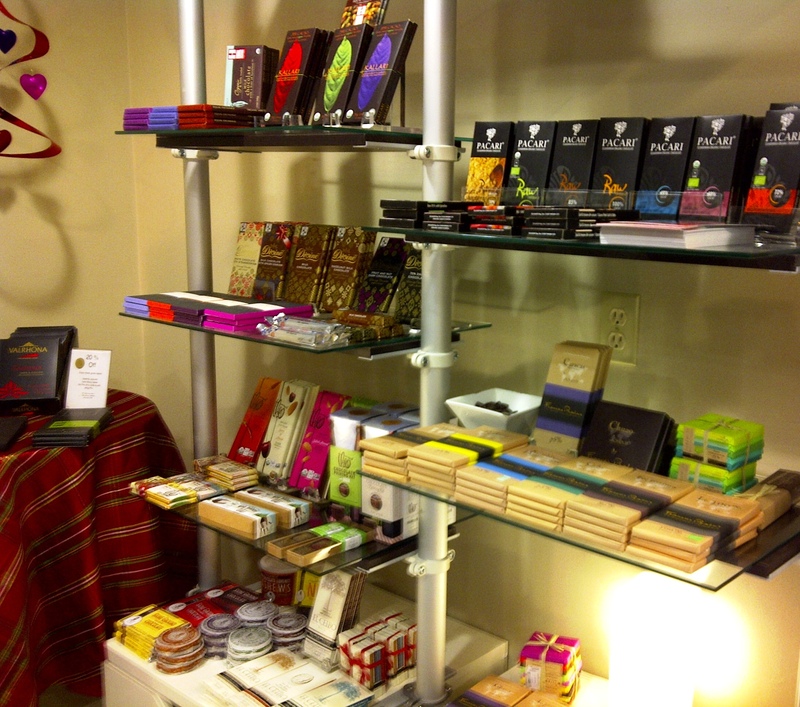 Coppeneur is a great micro-batch bean-to-bar chocolate maker from Germany. I am quite fond of their single origin bars, especially Republique de Madagascar 70% Cocoa with Ginger and Fig (made with Trinitario beans). It is a real fruit bomb, with a slightly oriental note. Sometimes it is fun to have a more brainless but still refined chocolate bar :-). Purists can have the same bar sans ginger and fig (Republique de Madagascar PURistique). Fresco Jamaica Recipe 209 70% cocoa, subtle conche (Lynden, WA). Beautiful and elegant like a fine Burgundy. Wet earth and mushrooms aromas are so beguiling… I cannot ask for more from a chocolate bar or a wine, for that matter. One can only improve upon the experience by pairing it with a Burgundy. It occurred to me as I was finishing up my post that many of the chocolates and salts I was describing had a strong floral component to them, which also echoes the new perfume offerings we were investigating last Saturday (Jasminora from Guerlain’s Aqua Allegoria series, with notes of galbanum, bergamot and cyclamen; London Blooms collection from Jo Malone (comprised of Peony & Moss, White Lilac & Rhubarb and Iris & Lady Moore; and a few others). Even though I prefer the more balanced and subtle floral expressions in salt and chocolate, I do agree with the parfumeurs’ philosophy which states that floral compositions promote “feelings of happiness, romance and good mood”. 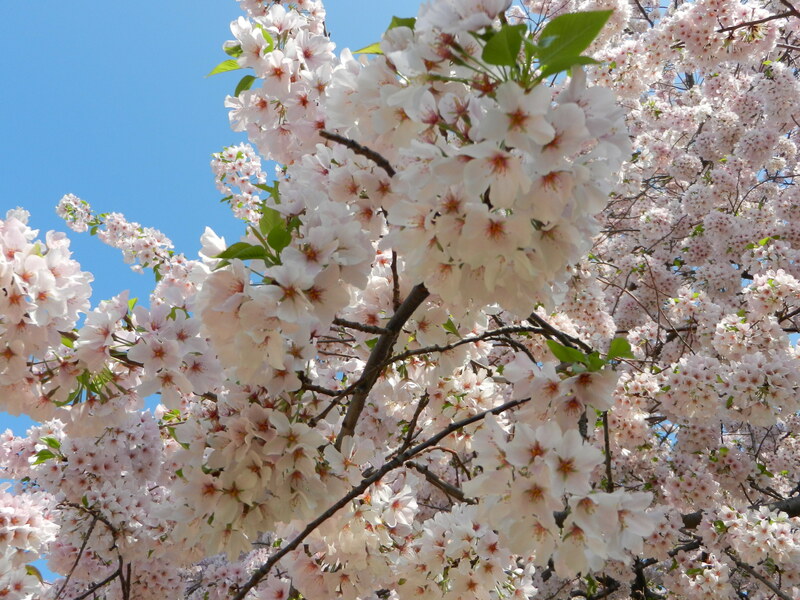 I think spring is officially here! This entry was posted in food, review and tagged Artisan du Chocolat Jamaica, Cocova, Coppeneur Republique de Madagascar Ginger and Fig, finishing salts, fleur de sel, Fleur de Sel de l'Île de Ré, Fresco Jamaica, Himalayan pink salt, Himalayan salt slab, Indian black salt, Pangasinan Star fleur de sel, The Meadows, The Spice and Tea Exchange by Come Due Maiali. Bookmark the permalink. I’m reading your post, as a piece of “Almonds in Sea Salt” ( http://www.amazon.com/gp/product/B003SNZ5VA/ref=as_li_ss_tl?ie=UTF8&tag=russi02-20&linkCode=as2&camp=1789&creative=390957&creativeASIN=B003SNZ5VA) is melting in my mouth… Chocolate and Salt – right now I think there could be no better combination! It is just basic power of suggestion…do you have the strength to resist? Yeah! You are back with a vengeance! This is my kind of informative post Natasha. Lets do chocolates together some day soon! I’ll drink to that in the meantime! I cannot not possibly keep up with the super-prolific Blissful Adventurer. Kudos! it is now a full-time endeavor along with the book and a new website. Your encouragement is always part of my drive my friend! Have you been to The Filling Station (http://www.tfsnyc.com/) in NYC’s Chelsea Market? They don’t have chocolate, but their salts are so aromatic and delicious, the olive oils and vinegars even more so! I’ve invested in a couple balsamics (pomegranate and wild blueberry – used to dress simple salads – to DIE for, seriously) and have yet to find any disappointment in their products, except for a little weakness of flavor in a few of the oils…but if you go to their shop, you can taste everything before purchasing, so it’s quite fool-proof. PS. I love all of the information packed into this post! I am so glad you enjoyed the post! I have been to the Filling Station; pretty cool concept. I love being able to pre-taste, as the more grassy and peppery the oils, the better! Must see if I can get hold of some Indian black salt – so intriguing! Wow! This was really interesting! Thanks so much for the insight into different kinds of chocolates and salts! By the way, thanks so much for coming by and liking my Mozzarella Sticks! Try the Cafe Tasse chocolate. Its a Belgian brand very well represented in the states which offers a traditional chocolate but with innovative creative and delicious variations!!!!! For you, I recommend the “milk chocolate with grilled almonds and salted caramel”…. HEAVEN!!!! Mmmmm, dark chocolate. Need I say more? Your blog has me craving some right now!! Himalayan Edible Salt is an organic and natural food item. StandardSalt mining company is the Best Himalayan Salt Traders to buy Wholesale and Bulk Salt rocks, Salt Chunks, Salt Crystals, Salt Lamps, Salt Tiles and Salt Decorations.